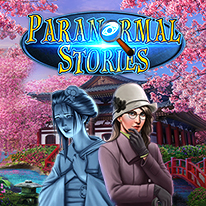 Esther, a Paranormal Detective, gained the ability to recall an event by being in the crime scene or touching things in the crime scene which are connected to the victim right after she was struck by a blue lightning. Now, she helps people with her ability. Jack, her friend from the Police, often asks her help to lead some unsolved paranormal cases. However, her analysis will be in vain without evidence. As the result, she, along with her ability to see an event to look for a motive, has to gather all the evidence in the crime scene. Jack, in return, promises to find out the origin of her ability.